Characteristic: A small area named Lavason on the north side of Lake Kaltern offers the ideal conditions for this wine with dense tannins and complex character, where the vines can take deep root in the loamy, chalky gravel. A 14-month long aging in barrique and low yields give this wine its intense, brilliant, ruby red. Its aromas are reminiscent of berries, a little mint and licorice; soft tannins and a juicy structure with a silky and elegant finish complete the tableau. Recommendation: This wine pairs perfectly with game and wild poultry dishes, as well as piquant cheeses. 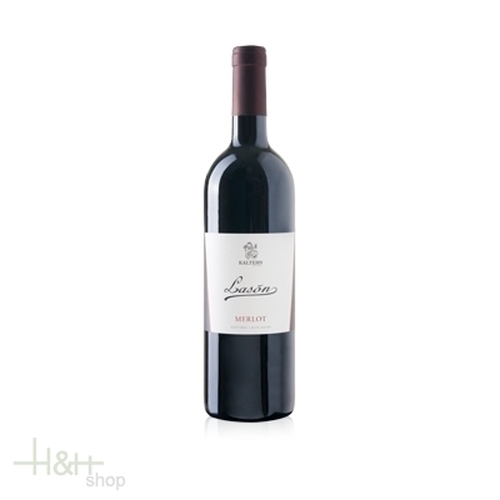 "Wine Enthusiast" has rated the wine "Kellerei Kaltern Lason Sudtiroler Merlot, Trentino-Alto Adige, Italy" the vintage 2005 on 03.01.2007 with 89 of 100 points.